Situated on popular tourist spot known as Bantayan Island, Santa Fe, famed for its white sand beaches, is perhaps not especially known for its Yolanda experience. Yet as Super Typhoon Yolanda made landfall, Santa Fe was one of a number of municipalities in Cebu that remain completely isolated, with all modes of communication cut off, and roads made impassable to vehicles. As the storm raged, some 1,000 of the municipality’s local citizens sought refuge in the nearby municipal hall. At times, it was a terrifying experience. “It was really scary, watching objects flying around the room. The roof (of the municipal hall) peeled away, piece by piece, like tissue paper,” he says. Many in the municipality had undertaken preparations prior to Yolanda’s arrival. Yet the sheer magnitude of the typhoon was beyond regular expectations. 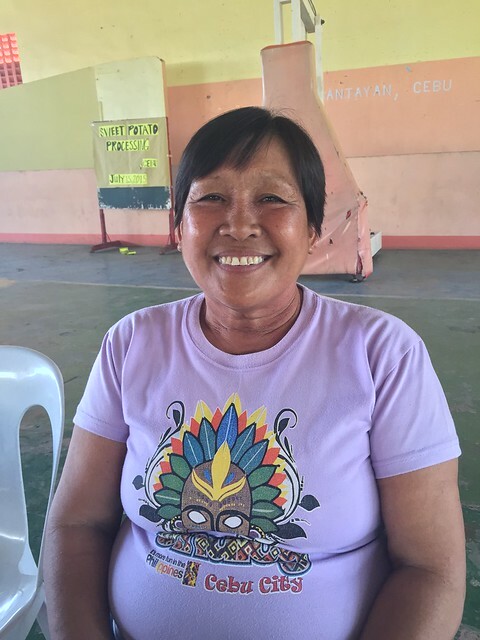 “During Typhoon Yolanda, we had volunteers help out. 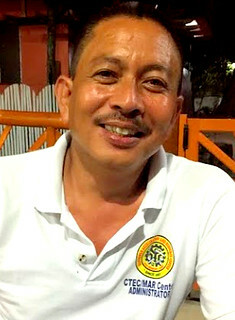 They are our Barangay Volunteer Emergency Response Team,” Joanes explains. “They shared that it was challenging for them to evacuate people before Yolanda. With many local people having survived Typhoon Frank, they were confident that they would also survive Yolanda without evacuating,” he says. 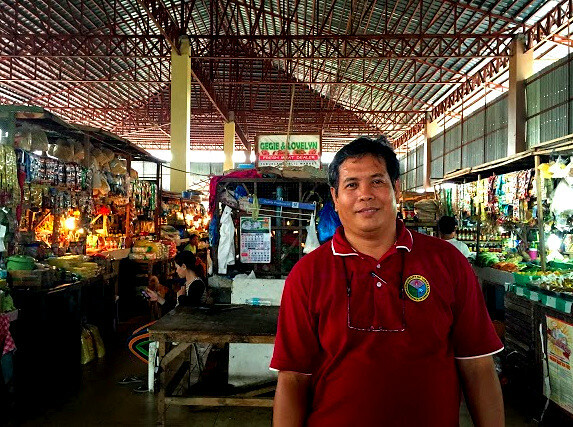 Ivy R. Illustrisimo, a stall owner in the Santa Fe public market, was one of those who did not evacuate during Yolanda. Instead, she stayed at home and watched as the typhoon wrecked havoc on nearby houses and infrastructure. 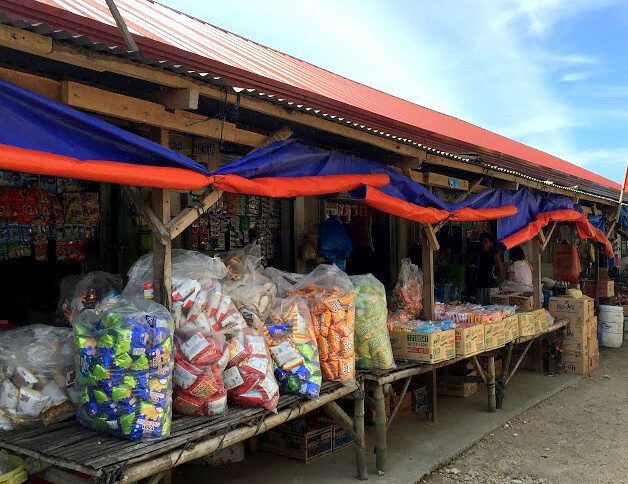 With assistance from RAY DILG, the public market has now been significantly improved, with view to greater resilience in the face of calamities. The addition of a second floor also means more vendors, and a more vibrant space. “Our market is made of concrete, with proper division for the stall owners. It was really a make-over here in our market,” Ivy added. The Santa Fe municipal hall has also experienced significant improvements. “The RAY DILG fund was a big help in Santa Fe. People are impressed because our municipal hall and public market have been improved. Both are beautiful and resilient. We can proudly say that the fund was utilized well and can be seen and used by the whole community,” Joanes added. At first, it was difficult for Arthuro B. Vincente to believe what he was seeing. A Tabuelan public market vendor for almost a decade, he had never before seen typhoons that could bring about this kind of destruction. As RAY DILG funds were delivered, the engineer then rallied for a better and more resilient market by applying Build Back Better principles. “If we were not given the assistance, we might have just settled with simply repairing what was damaged by Yolanda. Since the LGU has so many priorities but operates on a limited budget, the RAY DILG fund helped us in that respect,” he adds. Every Saturday, there’s a ‘tabo tabo day’ in the market, when visiting vendors from nearby towns sell clothes, vegetables and other products. It is a whole day event, and often very crowded. In the past, some vendors were often reluctant to have stalls in the market, finding it too costly for their needs. Yet after it was reconstructed, it was made more resilient – and at only 10 pesos per square meter, with tiled floors and solid roofing – requests to hold a stall in the market sky-rocketed. “Now the problem is that there are too many vendors,” Edmer says. “Since the market is now more beautiful and more resilient, more people want to set-up in it. Because of this interest, I can really say that our project had a significant effect to our community,” he said. 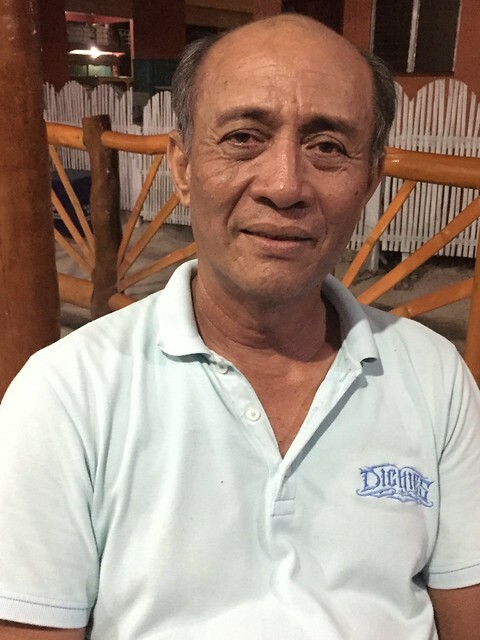 For long-time vendors like Arthuro, the impact of these rehabilitation efforts are especially significant. “Our public market was built in 1960s when I was still in my elementary days,” remembers Rodney P. Menchavez, local municipal engineer. Yet the decades-old structure was unable to withstand Yolanda. As the Super Typhoon subsided, it soon became clear that the entire market structure had collapsed, destroying much of what lay beneath. 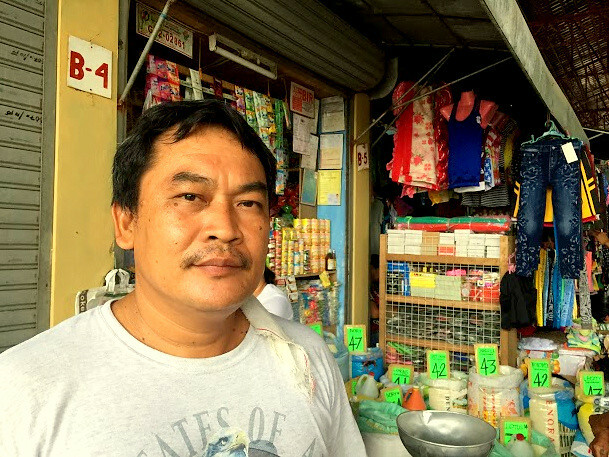 “Since then, we’ve repaired the market to look just as it once did,” Rodney explains. Yet vital changes have been made, including replacing with steel where once there had been only wood. Market ‘floors’, before made only of soil, were then cemented. 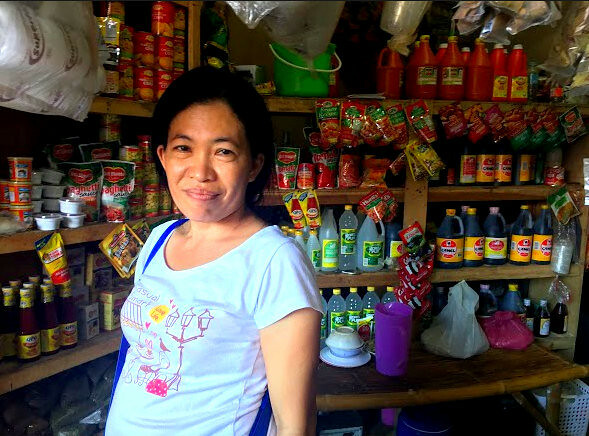 Not only is the market more resilient, but a more efficient space, says Gina M. Montejo, a local barangay captain. This means less congested aisles, adding to the vibrant market space. 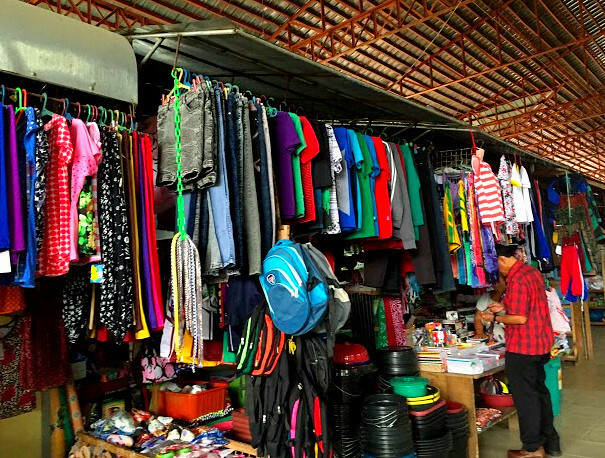 “Unlike in the city or other urban town, you can just easily go to the market anytime you want. But here in our barangay , it is far different. It’s why the RAY DILG fund extended to us benefited the entire community,” Rodney added. 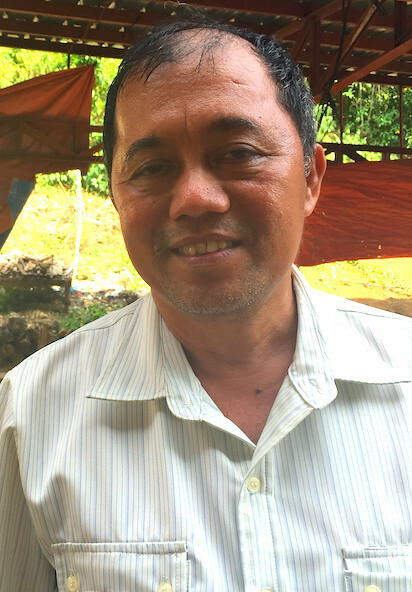 It is memories like these – of the ‘new normal’ – that stay with Antonio P. Villamor, president of Liga ng Barangays in San Remegio, Cebu. Both the local market and municipal hall suffered extensive damage as a result. Nearby, at the the municipal hall, the roofing, ceiling and office equipment were also destroyed. 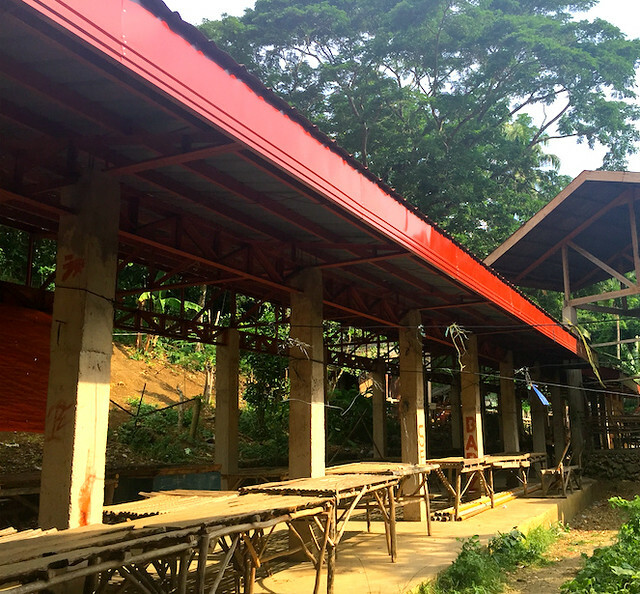 Since the building is very important to the municipality’s continued function, the LGU already repaired some portions prior to the distribution of RAY DILG funds. 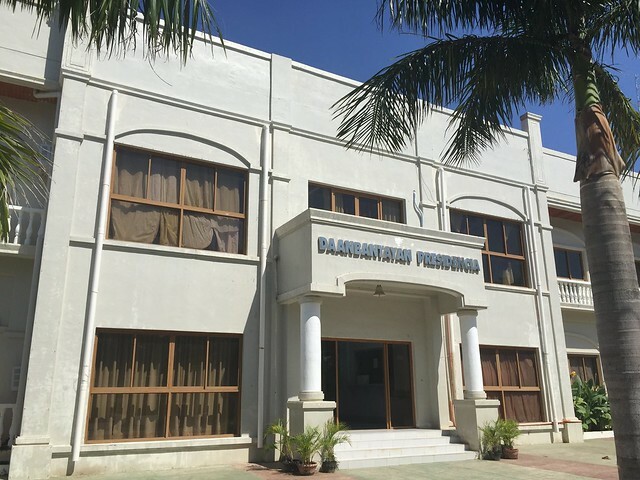 Yet, as funds arrived, they were able to better repair the building: it now looks brand new. 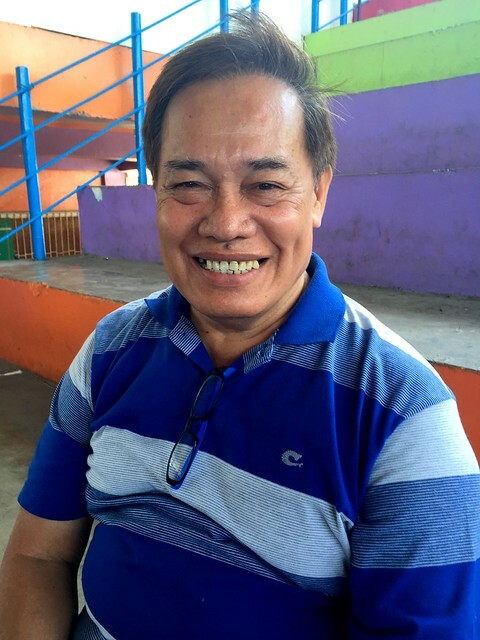 As Mayor Mariano R. Martinez explains, the repairs to the municipal hall have assisted employees and patrons alike, especially those groups with special needs. Pregnant women from geographically isolated disadvantaged areas (GIDA), for example, now benefit from the addition of a municipal pre-natal care center. There, they can rest prior to their due dates, and receive additional care in the lead-up to their delivery. 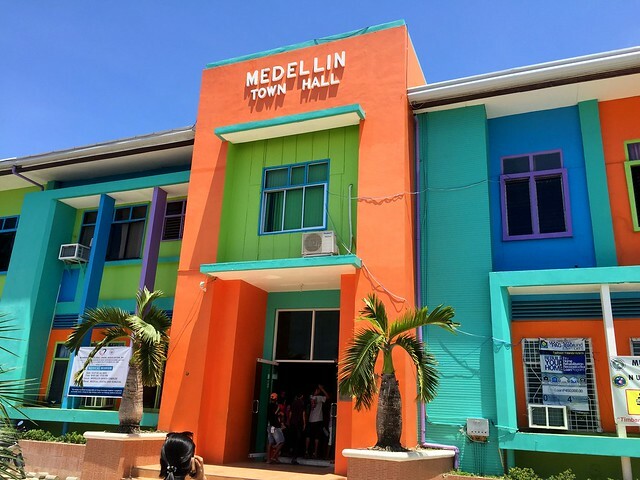 On first sight, it is can be quite difficult to believe that the colorful municipality of Medellin was once devastated by Typhoon Yolanda. In the initial wake of the devastation, local officials were quoted as estimating that around 90% of houses and other infrastructure in the municipality were partially or totally damaged. 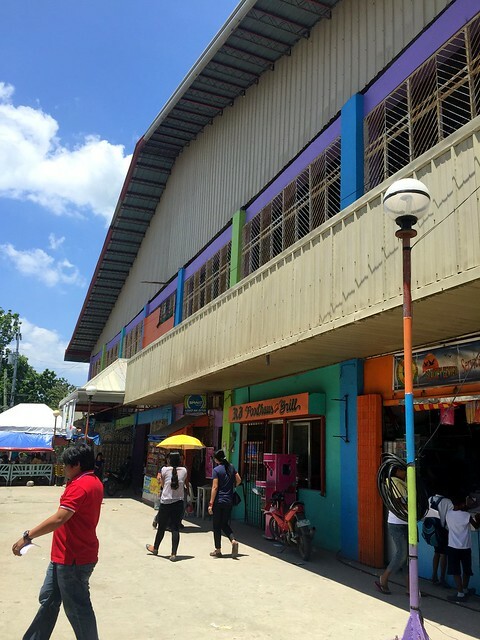 Yet since Yolanda, government infrastructure – including the municipal hall, water tanks, bridges and school fences – have since been repainted in a series of bright, cheerful colors. “We repainted like this after Yolanda,” Cherry says, proudly. “This is in line with our slogan ‘Fantastic Medellin’, where our mayor wants our town and everyone who visits to be lively. It’s really a good feeling,” she says. 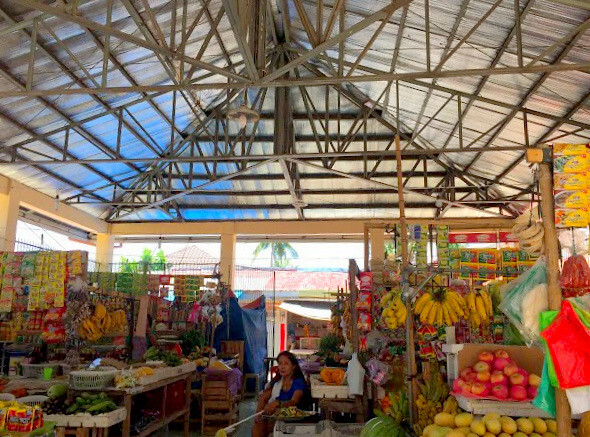 At the Medellin public market, Teresa Q. Carmelo remembers watching as pieces of plywood, sheets of roofing and market items flew around the marketplace, helpless under the force of Yolanda’s gale-force winds. “It was an unexplainable feeling,” she says. Nearby, at the Medellin civic center, most of the roofing had also suffered significant damage. School and sports activities immediately ceased as the building was deemed unsafe for use. Yet with the assistance of RAY DILG funds, both the civic center and public market could be repaired, ensuring that vendors, clients and citizens could return to these vital daily activities. 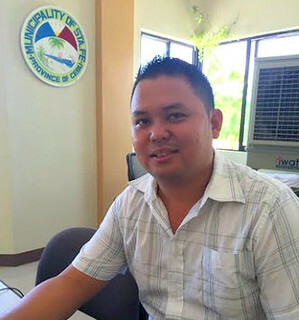 “We are very thankful to have received the RAY DILG assistance,” barangay secretary Eduardo S. Nicor says. “Now we can use the civic center again. 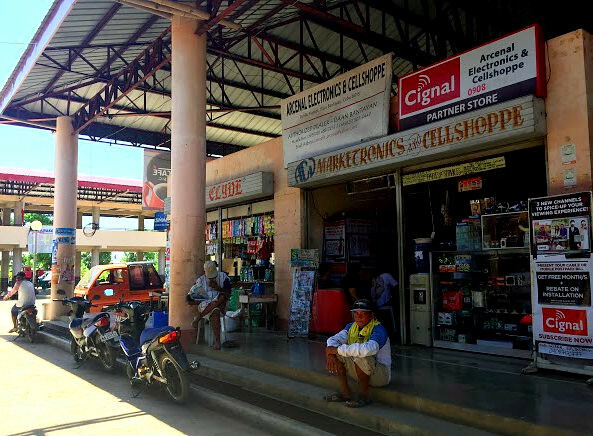 Since it is in the town proper, it is also income generating for our LGU. Also, because of the fund they have added more bleachers which is very useful during our activities here,” he says. 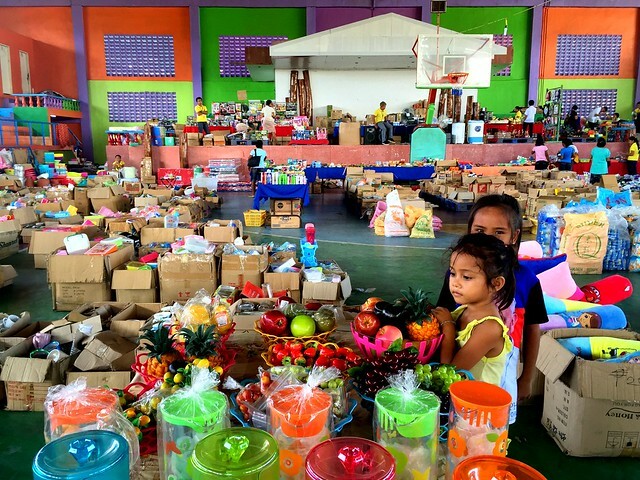 Across the community, the effects of Yolanda were both widespread and visible for all to see. 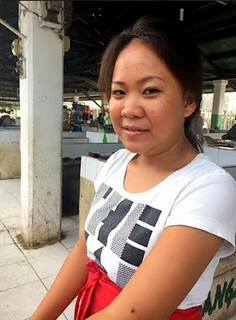 Nearby, Marivic Aga-on, a fish vendor in Madridejos public market, had worked half-day on that fateful November day. 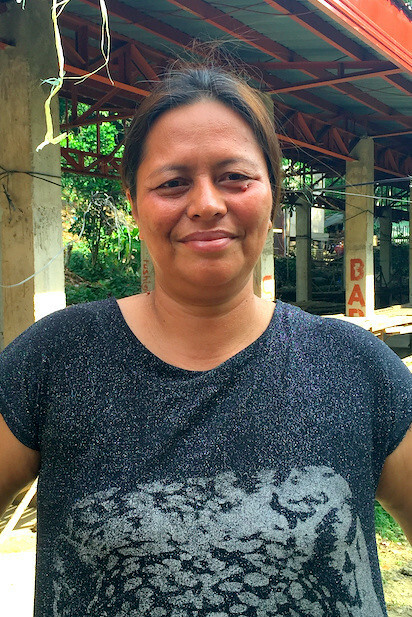 She witnessed the typhoon’s destruction of the roof in the wet section above her stall. That’s why they are very pleased with the funding assistance extended to them. With the municipal hall now repaired, it is now more a more comfortable and pleasant space for both officials and citizens alike. 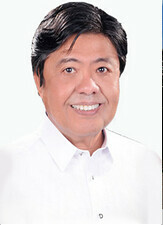 “Our LGU could not do this alone. 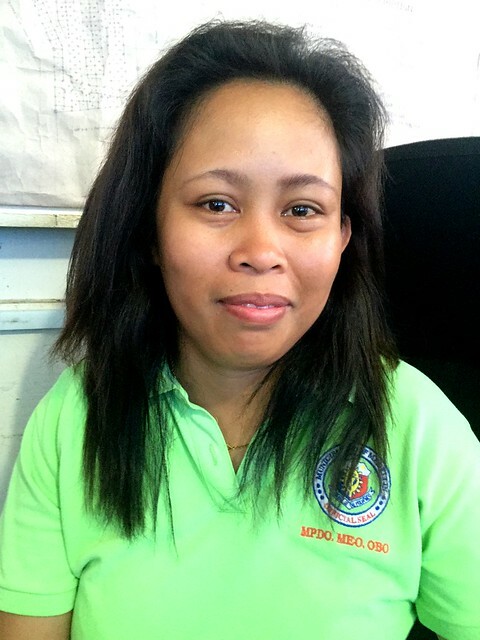 We are very blessed and thankful because the national government noticed our needs,” Jessyl says. “We are now just looking at the bright side after the typhoon. 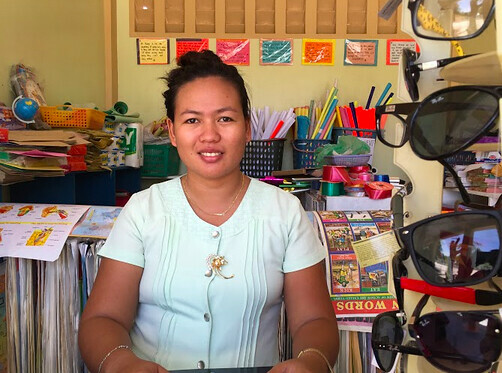 Yolanda has been terrible to us, but our resiliency is still stronger than she is,” Jessyl concludes. 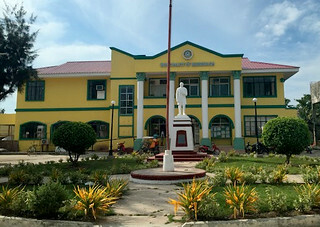 The municipality of Daanbantayan, located in the northern tip of Cebu, was not spared by Super Typhoon Yolanda. The local municipal hall, right by the coastline, saw whole sections of the roof and windows destroyed. Sections of the local public market were also in need of extensive repair. The civic center, serving as an evacuation center, was also badly damaged. 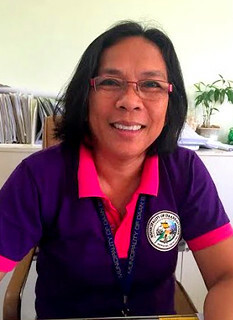 For local survivors, like Marina Y. Arcenal, a municipal engineer of two decades, Yolanda is remembered as the strongest typhoon experienced in living memory. Nearby, Loida Chiong, as the care taker of the civic center, was busy preparing food for evacuees when Yolanda struck. “But when the roofing blew off, everyone panicked and ran away,” she shared. For Emily Manigos, the devastation was also deeply affecting. 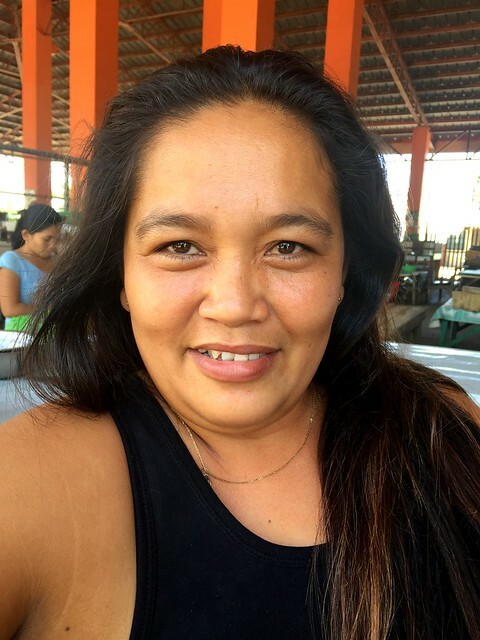 As a vendor in Daanbantayan Public Market for almost a decade, she returned to her stall to find that very little remained: items have been damaged, or stolen. Of the overhead roof, nothing was left. Extensive repairs, funded both in part by the LGU and the RAY DILG program, began soon after the disaster. 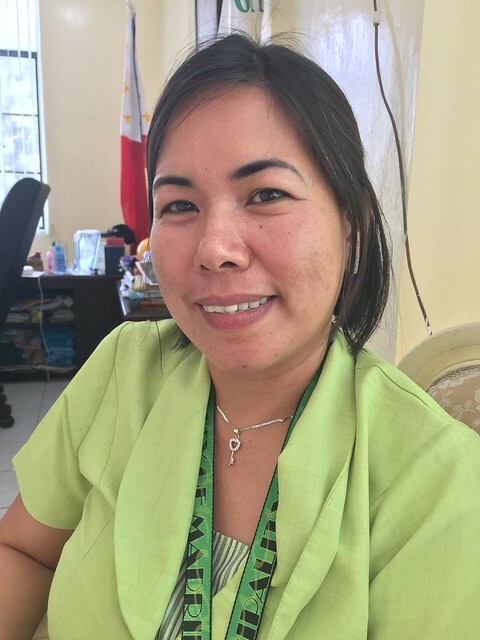 Loida explained that school programs, cultural events such as fiesta celebrations, and barangay meetings are once again held again in the newly repaired civic center.